Online accounts make life easier. We can share, shop and manage our finances wherever we are. The problem with this luxury is the amount of time we waste creating, entering, forgetting and resetting passwords. Fortunately, a revolution is underway. The problem begins with the sheer volume of businesses shifting to online accounts, each needing a new password, and each password requiring special rules about length, character case and numbers. A NorSIS and YouGov survey determined that users have an average of 17 different private passwords, while a Symantec survey found that 44% of their respondents have more than 20. That's a lot of account data to enter every time you visit a website, especially factoring in time wasted remembering, mistyping and resetting passwords. In fact, 43% of UK small businesses say that they spend more time changing passwords for security than they do backing up valuable data. What's more, Dublin Psychology Professor Ian Robertson found that nearly 60% of people struggle to remember their passwords in the first place. And it's not just average consumers who are wasting time and money. US based Gartner found that 56% of IT and helpdesk employees say that the majority of calls they receive are due to forgotten passwords, and estimates that such calls cost companies between $51 - $147 every day. 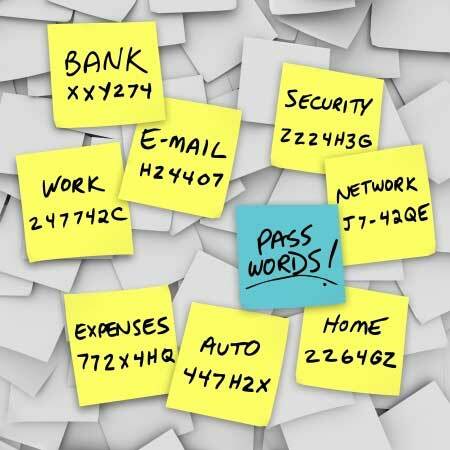 The great cost may be justifiable if maintaining multiple passwords was much safer. But that's not necessarily the case. For starters, 61% of people reuse their password across multiple websites, which means if one piece of data is compromised, they all are. And 46% told Symantec that they choose passwords that are easy to remember: hardly a recipe for watertight security. The logical conclusion, which many organisations are now reaching, is to consolidate passwords into one secure management service, with high-level security and a single, well-chosen password. Various outlets are vying to control our passwords in this way - some are useful, some invasive. What companies are starting to realise is that they need to achieve a balance for their users. Simplifying customer experiences by collecting passwords is great, but it's important that we still feel in control of our data. In the financial sphere, Money Dashboard's free money management software is leading the change. Users input their passwords once, and the read-only database (it can see, but not change, data) collects the information to give you a clear view of your income and outgoings across all of your bank accounts and credit cards that you've chosen to share. These can then be accessed through a single, secure password in one destination: the Money Dashboard website, giving you control, without complications.